The founders of Furi Sport want to disrupt the elitist tennis market and provide high-quality, low-cost tennis gear to a broader market. We start off with buyer personas to target their ideal customers' behavior, motivations, and goals. Lana (22) ran track in high school and enjoys competitive sports. She recently graduated from college and moved to Denver to a marketing job at a start-up company. She is looking for a sport to challenge herself and meet new people. While she finds tennis courses at a community center, she's disappointed by the rackets available in her tight budget. She first reads about Furi Sport on a tennis forum. She's impressed by their commitment to quality at an affordable price. After much online research, she orders one online and tests it to make sure it stands up to its claims. Satisfied, she decides to keep it and recommends it in her blog. Damion (26) is a math high school teacher in Brooklyn. A few nights each week, he blows off steam by heading to the gym. He enjoys trying new sports, and when a time slot opens up for the tennis court near his home, he signs up. After a couple years of playing with a borrowed racket, he decides to splurge and get himself a new one. He's expecting to pay a lot, but he is excited when a friend tells him about a new, high quality racket called Furi that recently came out. That weekend he goes to the sporting goods store and tries out the racket. Impressed, he buys it immediately. 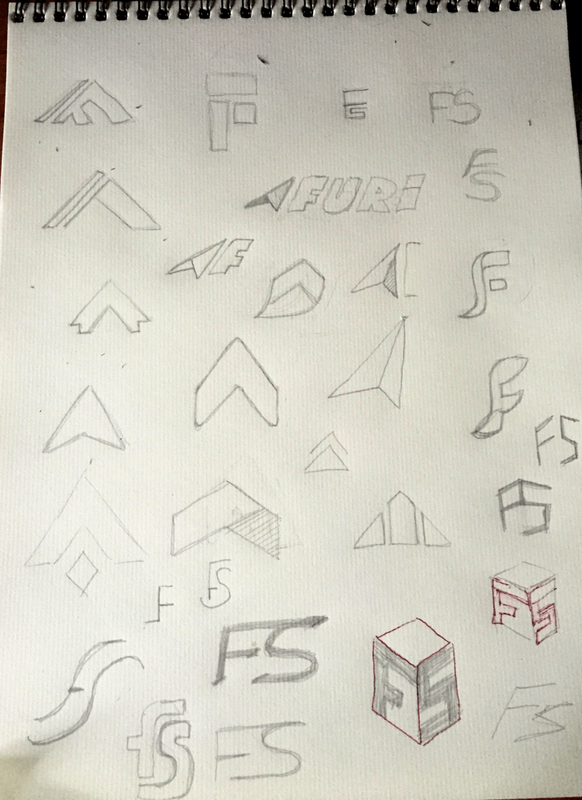 To work on the logo, we started by brainstorming on paper, using words that the client felt represented the brand: movement, energy, power, youth, fluidity. Once the initial brainstorming was done, we began surveying the sporting goods, and specifically the tennis market, to make sure that we created something which both differentiates itself but also looks like it fits in the niche. We also have begun some initial designs for the graphic design of the racket, as seen here on the hand-painted prototypes. 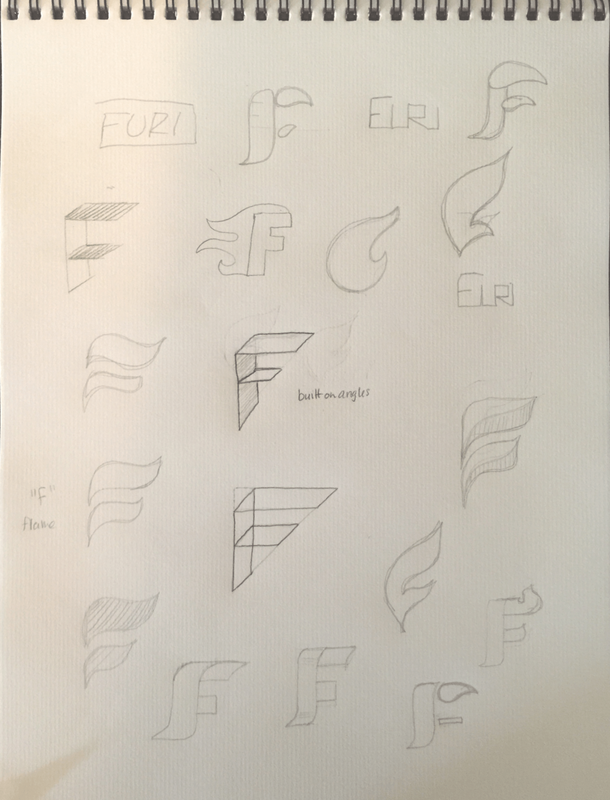 We’re very excited to see where Furi goes with this and we will update as they continue to build their brand!